I like how easy the interface is on LivePerson, we have been using this program for over 6 years now at our company and can honestly say it is the best chat tool to meet our business needs. We are a bank that services many different departments and LivePerson allows for streamlined reporting and monitoring for all our services. I would like a different interface for the administrator to be able to view the active chats differently. Currently you have to click into each active chat and then you get a row of them on the bottom of the screen, it would be nice to be able to manage them more in a view. This is a great chat tool for any company to utilize! Our company currently uses LivePerson for online customer service, site support and sales support. The benefits to being able to chat with an agent are for our users who sometimes do not have the time to call in and can spend the time on chat verses the phone, these users genuinely give us higher rated feedback and like the online support. "Very user friendly and fun to use!" I like being able to view how many people on our website at any given time, it helps me know which cities our marketing is the strongest and getting the most attention and which cities are getting the lowest amount of attention. It is very easy to chat with people, they just click a button and I get notified. As soon as I get notified I immediately chat with the person. When someone wants to chat, I also like that I can see what page the "chatter" is on. This helps me answer questions better. Another feature I really love is that if for some reason I am away at my desk, people can leave messages for me to come back to later! This way, everyone gets their questions answered. There is nothing i dislike about this product. I think it is very affordable and worth the money if you need some kind of easy "chat box" for a company website. When marketing Job Fairs and hiring events, people hate talking on the phone and don't answer my phone calls when I want to give someone information. The Live Chat lets the person come to me, ask their questions without having to talk on the phone. Other people who come across our website randomly, can reach out to us with a click of a button. They don't need a pre-existing contact at HireLive to reach out to. "Best Engagement Tool in the Planet"
From the ease of implementation into websites, to the amount of information that you are able to track how easy is for customer to use the tool. From a management perspective how you are able to set up the campaigns the freedom to create to your specifications and not whats provided. How well you can user the APIs to customize to all the way the reporting makes it easy to track data. The ease of use of the tools is unprecedented the amount of information available for you to customized to your liking is amazing not to mention the level of support the provide. Creating a connection between company and their customers and clients. (1) It provides the most personalized banners to the prospects/visitors and grabs their attention for the live chat. The probability of engaging the visitors on your webpage becomes high. (2) It provides the most efficient sentiment analysis of customer/visitor's behavior by tracking his/her actions. It allows companies to identify unhappy customers with negative sentiments and design some additional/creative offers for them. The continuous upgrades cause the changes in API. So sometimes integration level issues might be faced due to migration of new updates by LiveEngage. The UI is not compatible with all the applications. It is a very cost effective platform in the digital marketing space to get & convert visitors. Being a start-up, it's very necessary to convert each visitor into a customer while they reaches your website. Also marketing cost need to be in budget. Therefore it is helping us in converting more visitors into happy customers with cost effective solution. I liked how easy it was to have multiple chats open at a time. Easy to keep track of who I'm speaking with and easy to send them links and documents. I even liked the color scheme to highlight which chats needed attention and which were idle. I also liked how we could extract information from the chatter before the chat even started. This helped me to keep track of who was in each chat, easily log the chatters information, and helped identify who the chatter was in case of disconnection. I didn't like the client emotion reader, some words used may be negative, but that does not meant the client was unhappy. My company was unable to use the export feature to export the chat transcript. Sometimes it worked and it made our work so much easier, but other times we had to copy and paste the entire chat into our tracking system. I recommend this over many of the other systems out there. The interface is more clear and easy to read. It is simple to learn and train others on as well. "dropped support of key features, deceptive EULA"
The ability to segment traffic and target visitors in different stages of the sales funnel. You can set up campaigns with almost any trigger points that you can think of. The "upgrade" to LiveEngage (from LivePerson) dropped a number of key features. One feature we heavily utilized was direct linking to chat. Over time the platform has become a lot less stable with service interruptions occurring multiple times every month. In many cases their script will become unresponsive causing our ecommerce site to hang, and for this reason we opted to link directly to chat in a pop up window rather than utilize their scripts. Support for this feature was dropped recently so we've now moved on to a more stable live chat platform where we can utilize tracking scripts and we haven't had any issues with downtime. When reaching out to cancel our month to month engagement we were notified that a 90-day notice needed to be given to terminate an account. We don't remember agreeing to this (we've used this service for over 5 years) and when asked to present the "digital signature" that they claim to have received from us approving these terms, they indicated that they can make adjustments to the EULA at any point and our "agreement" to these new terms is based on whether we continue to use the service, and not our acceptance to the new terms. Given their 90-day termination notice you need to be sure that you can fully evaluate this service within the specified trial period. We have been customers of them for over 5 years and they wouldn't waive the fee even though we can no longer use the service given their recent changes, they're not likely to budge if you use this service for a couple months and decide it's not for you. This was originally meant to be a simple way for customers to communicate with us through a new channel. It's turned out to be a great way to help move shoppers along through the sales funnel via segmentation based on page views, time on a particular page, etc. We've gone from simply having a Live Chat link on our site to being able to actively target and invite potential customers to chat based on the actions they've taken on our site. Liveperson or liveengage is what we used at work as our chat software. The software is laidback to use. Not only that but you are able to co-browse with customers. That’s my fav feature. Ability to create robust library of canned responses. Solid back-end reporting that allowed us to track revenue generated by our live chat associates. Easy access to recent transcripts on the associate level. Ability to limit number of concurrent chats per associates. Associate-facing format is boxy and not very digitally ergonomic. Data pulled from CRM to provide complete view of the customer was buried in interface and not easily accessible to assocaites. 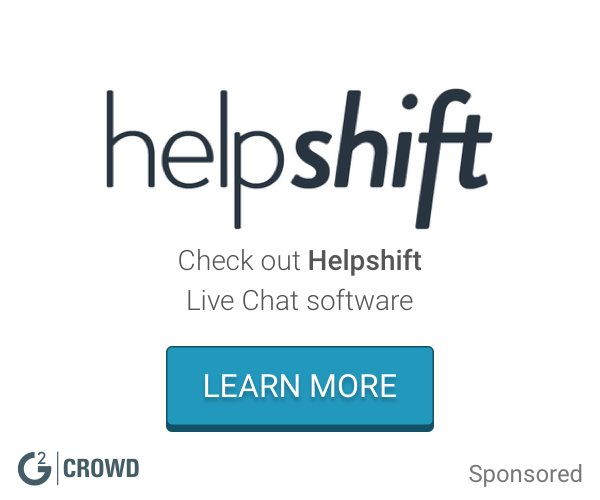 Definitely a good option for anyone who's new to employing Live Chat for their org. A fair amount of it comes "as-is" out of the box, but they definitely hold a place as a SME in the marketplace on best practices for live chat. Support customers via live chat on web and mobile. Drive revenue for the organization through Live Chat. "Excellent and easy to use platform"
The platform is user friendly. It allows you to integrate HTML, which means that you can personalize the content to place in your website. Also, it comes with report tools within it, so everything is a click away. It is really fast and can be adapted to any website. Besides the reporting tools, it shows the website traffic in real time. LE is a complete platform! The customer service is available 24/7 and they're excellent. To get to understand the whole platform and how it works there are some trainings needed. It's a lot of content nevertheless, the platform is simple and user friendly. All the information you need to understand the platform is within it, just check the Connection Area. Using this platform I can interact with customer, either to make sales or to provide support regarding the products in our website. One of the main benefits it's that I can replace the tedious phone calls (in most of the cases). "Poor experience - Would not recommend"
There old product work ok some of the time. They decided, without warning, to end of life the version that we were on. Granted there old platform was somewhat limited in terms of functionality. They told us two months before the EOL date. We had built an integration in our CRM so the short notice was a major problem. It would have require us to drop several other IT projects to accommodate them. As a result, we decide to look at other chat options. We found that there is a large number of better platforms that were easier implement, more user friendly and a lot less expensive. The LivePerson team have acted like jilted lovers when we told them that we were not renewing; resorting to extortion tactics. I have never worked with a more unfriendly vendor in my 25+ years of career. We are, as of this month, no longer a customer. I would suggest that you explore other options. We used the platform to answer incoming chats for our sales and support team. The interface is very pretty, and the chat performs well. I love the mobile app that allows you to take chats on the road. The reports are not customizeable, but export pretty well to PDFs for easy reporting to management or representatives. The onboarding, service, and support that I received from LivePerson left a lot to be desired.. The platform is pretty buggy, and many of the issues that we identified and communicated months ago have still not been fixed. As for the platform itself, it serves the purpose it was meant to, but many of the reporting features do not work. The chat export function is useless - it only exports to a rigid XML file, which adds some hurdles when trying to share chat insights with other stakeholders. The platform has an A/B testing feature, but does limits your testing audience to 95% of visits, leaving 5% of visitors unengaged. Do not buy into the hype that they create during the sales process. Manage your expectations and don't buy into the promises they make verbally. Request a trial of the platform first. We use live chat as an alternate form of contact for potential customers who want an immediate response, but don't want to call. We generate an additional 100+ leads/mo from live chat as a whole. "Live Chat with your customers via your website!" I like the Connection Area, there are really good articles about how to get the most out of your live chat experience, better ways to engage when chatting and how to use MCS (Meaningful Connection Score). We are live chatting our customers from our website, answering questions in real time. Our customers get to text chat with a live agent and they love that. "LiveEngage gets you to Engage"
Allowed you to develop custom pre-written statements to send in chat and also multi-tasking is simple. It is also user friendly which is good. Sometimes the system goes down and doesn't allow for quick start up after it does shut down. The system is very easy to use and the staff is very knowledgeable. If you have any questions, they are willing to help out immediately. Provides easily being able to track responses while also giving great feedback to your guests. "Intuitive and Easy to use"
It's very intuitive and easy to use. The best part is I didn't have to train anyone from sales on how to use it and we have inside sales team globally. The user experience on other devices like smartphones tablets is not as great as it's through the web application. Great Product and service. If you are looking for an easy to use, cost effective and an engaging platform that meets your business requirements to get more inbound leads, achieve higher conversion and provide satisfactory user experience to your customers, your search should end at Live Person. To provide superlative and engaging user experience to the users coming to our site and looking for any sort for clarifications, that should help our business to get more inbound leads and achieve higher conversion. It allows customer to keep moving forward with their order while still asking any questions they may have. Instead of the alternative which would be to call in and interrupt their online experience. Liveperson lets customers have immediate access to customer service representatives which in turn makes the customer feel more comfortable. It also allows for phone lines to not be as busy for questions that can be answered online by representatives. I dislike that there are some browser inconsistencies with Safari and sometimes users on mobile devices cannot see the chat box. A lot of users these days are only using mobile devices for their internet experience and that is a downfall. We solve problems of having real time help for our customers from early in the morning until late at night. Customers like that representatives are available instantly. Customers also prefer to not have to pick up the phone and call in and actually talk to someone. They can do all of their correspondence through the website and then they are all set. "Pretty Standard Easy to Use Live Chat Program"
I liked the ease of use and understanding. It had nice customizability so that I could make it my own "station" of sorts. Clean appearance, even if it did feel a bit dated. As usual, there will always be glitches with technical products. This seemed to have the typical amount. There would be issues with getting kicked out of chat if too many agents were logged in, which is true of most applications. The alert sounds could get a bit annoying. It did look/feel a bit dated. Kind of AIM instant messenger-like. This is a great tool to assist multiple clients/customers at once without having to get on a phone call. Over the phone, you can only handle one person at a time, but with chat you are able to assist as many as you can handle. It is an excellent option for customer service operations. I love the reporting. You can report on everything from the time an agent is online to the amount of time a particular skill is available. You can do individual reports on a single agent as well. There's so much information. I love that there are different options based on your company needs. For example, you can have agents select chats from the queue or you can have the chats automatically directed to the agent. We use the second option. It works fantastic for us! The other thing we like is that the system is a smart system and will change an agent's status based on their activity. It has been a really helpful tool! I wish there was a way to export ALL the information using an API of some sort. Currently, we have to manually export all of the information. Also, there's a limit of 13 months of data and a limit of 30 days to capture a single report. I'd like to be able to run a report including data from all last year. Some other things I'd like to be able to do are fill out other reps agent surveys. Customer support via their online chat portal could use some improvement. I feel like they are not very knowledgeable on their own product. I would say more communication from the account manager instead of relying on the online support or either training the online chat support better in answering questions. Make sure you evaluate how it's going to be set up. Make sure you're proactive in asking about contracts & fees. The system will warn you but your account manager may not bring it up until the last minute. We are capturing any inbound leads from our website and providing customer service. Our business benefits in capturing those that may have not have contacted us via phone or email. It also provides a different approach to assisting our customers in making a decision on whether or not our company is a good fit. They really do enjoy the live chat experience. I like that you are able to communicate with a company while working on something else. To me it is much easier than a phone call. The only thing that I can say that I personally dislike is that you are unable to hear the tone of their response. I think that this would be a great chat tool to have at any company. It is super easy to use and consumers seem to like it as well. Customer service, We are able to assist a customer with the questions and concerns in a timely manner. "Easy to use chat support "
I like how comfortable it was to get use to and get thit feel of how it works. I like the fact that you can have canned responses. It really quickens how fast you can respond to a customer. Another nice feature is the fast keys. For example, if a customer comes on, I only have to click F2 to answer the chat and then I only have to click F3 to go to the next chat response. That way I don't have to click the buttons on the mouse every time. I don't like the history feature. It always gives me errors. I heard that other live chat systems can have you view the other customers screen and see what they have in their shopping cart. That function would be really helpful as often times customers don't tell you what product they are talking about right away. This really helps with the quick answers. It is hard for problem customers or upset customers. It is really fast and easy for a customer who just has a question about a product. "The best thing about this software is their Customer Service. " Great for sales, as you can invite onsite customers while they navigate your company's website. When our company had problems with their phone lines and needed a way to communicate with our members LiveEngage stepped up and made that possible is a very short period of time. It is web-based and easy to use the chat function. Their customer service is fantastic! It goes down quite often. Reporting could be more efficient. It could be very expensive, depending on the number of users. Efficient communication with my clients. "It's easy to use to monitor reps' converstions with clients." I primarily use it to audit reps at my job. I like that it's easy to search for specific agents at specific times. I somewhat dislike the new format of the website. I use LiveEngage to make sure reps are performing their tasks appropriately. I found that it makes it easy to perform my own tasks. "Gain traction with web visitors "
Visitors can contact you immediately from your website to increase customer interaction and sales. The pop up can be hard to see at times. Quickly respond to customer needs. It’s a nice end user experience and convenient for a small team. It’s very hard to set up and customize. Anything you need to do for reporting needs to fit nicely into their way of reporting on KPIs. Ensure your CRM system can integrate very well with Live Person. Not all CRM systems do this with LP. Opening up live chat as a customer service channel. It’s a nice platform to start with. I like that the consumer can see when we are typing and that we can see where they are from and what part of the site they are on. I don't like that we are unable to toggle between both of our Live Chat systems to take multiple chats at this time. It gives us more direct contact with our consumers, which makes it easier for them to communicate with us. "Terrible company, terrible software, terrible service"
Nothing really. The company is terrible, and it's people are terrible. If there were a worst company award, it would likely go to these people. Their software rarely works to do anything more complex than have a basic chat box. Their administrative software also has lots of bugs. Every time I chat with technical support to try and resolve these issues, they cut me off mid sentence to transfer me around and are often extremely rude, even abusive. "Using LivePerson as a Business Development Representative"
Very busy interface and wasn't the most user-friendly in terms of navigation. It was easy to push out links to web pages/PDF's as well as see what pages the prospect was currently viewing. The interface isn't the most intuitive but it solves the business need. If you are looking for a live chat software for sales/customer service, LivePerson will definitely do the trick. Chatting with prospective customers who were interested in learning more about the products/services we offered. It was easy to push out links to web pages/PDF's as well as see what pages the prospect was currently viewing. Live chat provided by liveengage is super helpful! I frequently see customers tell us how much they like the feature. Lots of agent management options too. Queues are a little tricky to manage. There aren’t easy automated options to turn them on and off at certain times. Handle customer concerns more quickly than phone calls. Intuitiveness, Simple to use, Elegant design, easy to use. I wish it could be a little cheaper and if we didn't have to pay for professional services to install it. Live Person is the most powerful solution available in the market if you are considering a live chat platform to drive sales and engagement. "We utilize the tool on our website"
That it gives instant access to those needing immediate assistance with technical issues. It gives you a way to interact with customers in real time. It integrates with your website and the support is great. LivePerson is a very powerful and stable product. They haven't updated their app UI in AGES. It feels pretty dated and cumbersome. Implement LiveEngage off the bat. Leverage the dynamic chat buttons. We are providing more leads to our sales reps through chat. We have been able to increase business on our venue sourcing product. "Very responsive and easy to use"
Ability to see how many customers were online and click to see where they were navigating. The layout got quite jumbled and difficulty to gauge who to track for each campaign. Utilize the updates but keep up reading the changes. We were wanting to calculate traffic per each new campaign we put out. "We use it as offline customer support "
"Live Person is expensive but more than worth it...."
"Good on the customers side, but too confusing on the agents side"
I like for the customer that it is easy for them to get an agent on the chat as quickly as possible. I dislike how it is hard for me to use on the agent side. I couldn't figure anything out. Having customers getting in touch with us quickly. Very good for having numerous chats open at once, easy access to canned responses, help and support. Selling is made simple by managing through different pages providing reliable and trustworthy bits of information for clients. "Was not that easy to use once it switched formats"
I liked the old platform the best. It was easy to use, and we were able to reach out quickly and easily to each prospect. The new platform - Could not reach out to the client or prospect very easily. The campaign creation portion of the platform slowed down the process, and made it difficult to reach website visitors. The old platform made it easy to click on a specific user, and immediately begin a chat box with them. "Providing assistance in a timely fashion. " More robust reporting capabilities would be appreciated. Currently, we can only see chat transcripts for the past 30 days. We can now offer live support to assist our grant applicants in filling out and submitting proposals. "Great Agile Solution w/ Quick Launch. " The best thing about this solution is that it allows you to be completely agile. Our ability to commit to changes quickly and efficiently and continue operations as BAU is a big win. Real time analytics aren't deep enough. Permission roles could be more complex, allowing better access for groups without allowing "too much" access. Mobile experience not customizable enough. Be where our customers are. This day in age, many would rather chat live then to be put on hold during a voice call. "I used LivePerson as a Customer Care agent"
I utilized the hot keys to keep working in a quick and efficient manner. Sometimes LivePerson would disconnect abruptly which would affect the customer's satisfaction. Test it first through a short demo to see if it meets your business goals. We used LivePerson/ Live Chat to reach customers in a different method-our website. We learned that many of our customers enjoyed this experience because it was available directly on our site and was easy to use. LivePerson is very easy to use, user friendly and reporting information/available is very helpful! A little archaic in the way it looks internally and additional reporting customizations should be available. Great chat tool to start off with as it is easy to install, use and share with others -- in-house training. Real time Customer Service issues, complains, inquiries etc. and assisting several customers at once is VERY helpful in the Customer Service Dept. "My team used this product well. It helped with prospects." I liked how easy it was for my team to interact directly with contacts. Served as a solid prospecting tool. New format made it much more difficult to reach out to a prospect. I would give this to your Sales Development team. We are aiming to generate new business for our company. Being able to speak directly to prospects was a huge benefit. Jonathan ( Jon ) R.
"Chat is where it's at"
I have used Live person for over 10 years! very easy to set up and use. "Great tool for acquiring new leads"
LivePerson is a highly flexible tool with a lot of functionality that helps us in our lead acquisition efforts. At times reaching support can be challenging. Seems to have downtime issues regularly. Lead contact and acquisition efforts. This tool helps our prospects reach us in ways they are comfortable which in turn increases our lead conversion rates. "The classic choice for live help"
The service is quite stable. I don't ever have to worry about if it is working or not. They launched a new admin console that is incomplete. Some things have to be adjusted in the old console, while others require the new console. Lots to features, include geo coding that I like. Not easy to implement and hard to manage. "Solid platform, left because of inability to download contact info"
"Amazing tool for electronic communication." Ease of use. The user interface is top-notch. I wish it would run faster, can lag at times. It has helped with quick connections with prospects. * We monitor all LiveEngage reviews to prevent fraudulent reviews and keep review quality high. We do not post reviews by company employees or direct competitors. Validated reviews require the user to submit a screenshot of the product containing their user ID, in order to verify a user is an actual user of the product. Hi there! Are you looking to implement a solution like LiveEngage?